Fazit: Das Yotaphone bietet als Besonderheit zwei Displays: Einen normalen Front-LCD-Bildschirm und auf der Rückseite zusätzlich ein E-Ink-Display. Im Test kann das Yotaphone aber kaum überzeugen. Die Akkulaufzeit ist mittelmäßig, Performance und Kamera lassen zu wünschen übrig. Plus: Cleveres Konzept; Ordentliche Hardware; Einige nützliche Apps für das E-Ink-Display … Minus: … aber noch zu wenige kompatible Anwendungen. Pro: zwei 4,3-Zoll-Displays; E-Ink immer eingeschaltet, damit verpasste Ereignisse immer im Blick; großer interner Speicher (25 GB); solide Gehäuseverarbeitung; flüssige Performance; LTE. Contra: Akku fest verbaut; Speicher nicht erweiterbar; Gestensteuerung nicht optimal; kein NFC; Kindle-App nur auf der Front. On the one hand, the YotaPhone 2 is prohibitively expensive, has a mediocre camera, sports average battery life and boasts none of the typical value-added features other flagship phones do. On the other, it has an unparalleled dual-screen design and top-tier performance. But, in my hand is easily the coolest, most interesting mobile device I've ever laid eyes on. It’s gimmicky, sure, but the YotaPhone also comes with some genuinely handy features that genuinely make this one to consider if you're shopping for a new phone SIM-free (It rings up £419 on the till, which is substantially more than a Google Nexus 5, but less than a new HTC One (M8) or Samsung Galaxy S5. We loved having such easy access to relevant information without unlocking the device, and its svelte frame is a cut above several rival Android makers. The confusing control mechanism can be overcome with a little practice, and might even serve to discourage others from fiddling with your phone in the long run. Overall, we loved the E Ink equipped YotaPhone, confusing controls and all. The fact that the Yota Phone even exists is a great thing. Smartphone manufacturers should be more adventurous, testing out new technologies and actually putting them in the hands of the public. Of course, that doesn't mean they'll get it right first time, just look at the original Samsung Galaxy Gear. In this case the original YotaPhone is a solid first step, but it's not at the stage where we'd recommend it over a single-screen device. 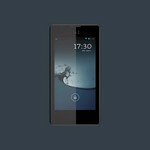 The YotaPhone is a phone with a really interesting idea but it falls short in the areas it promised to excel. The design isn't the most exciting, the battery life is far from great and there are simply not enough captivating reasons to swap the LCD display for the E-ink one. For around the same price as the YotaPhone (£415) you could get a the Sony Xperia Z1 Compact. It has the better specs on most fronts, is waterproof and simply is arguably the best 4.3-inch Android phone available. If you are willing to go bigger, the 5-inch Nexus 5 is still great value at £279 and is so much more sleek than the YotaPhone. Our current budget favourite, the Moto G would even be a great alternative. 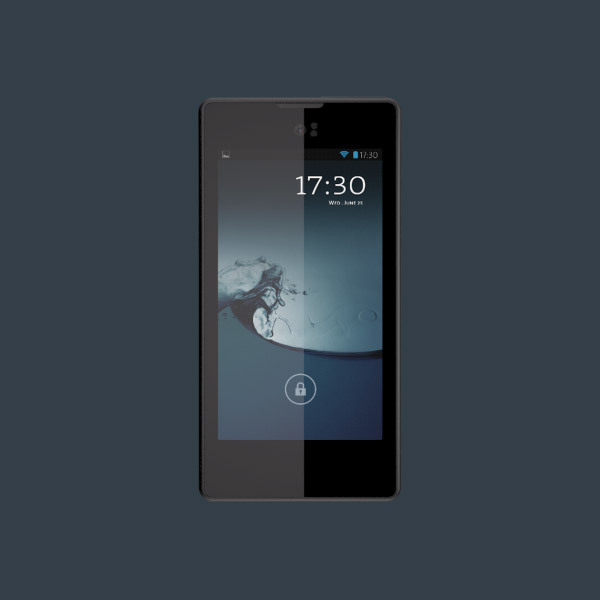 The YotaPhone is definitely not a high-end superphone. It’s got an average build, an average LCD screen, acceptable power and a camera that is comfortably out-performed by the competition. But then again, the YotaPhone isn’t trying to take on the LG G2’s and iPhone 5s’ of the smartphone world. MSM8960T: High-End Dual-Core-SoC von Qualcomm mit bis zu 1,7 GHz. Basiert auf der Krait-Architektur und wird in 28nm gefertigt.» Weitere Infos gibt es in unserem Prozessorvergleich Vergleich mobiler Prozessoren und der Prozessoren Benchmarkliste . 4.3": Es handelt sich um eine typische Smartphone-Diagonale.» Prüfen Sie in unserer DPI Liste, welche Displays wie fein aufgelöst sind. 0.146 kg: Es gibt nur wenige Smartphones, die so leicht sind. 72%: Diese Bewertung ist schlecht. Die meisten Notebooks werden besser beurteilt. Als Kaufempfehlung darf man das nicht sehen. Auch wenn Verbalbewertungen in diesem Bereich gar nicht so schlecht klingen ("genügend" oder "befriedigend"), meist sind es Euphemismen, die eine Klassifikation als unterdurchschnittliches Notebook verschleiern.